The rotation of the polyhedron "The ninth stellated form icosahedron" from the details of the set "Magic Edges 28"
The release of the set to the end of November 2018. October 12-14, 2018. 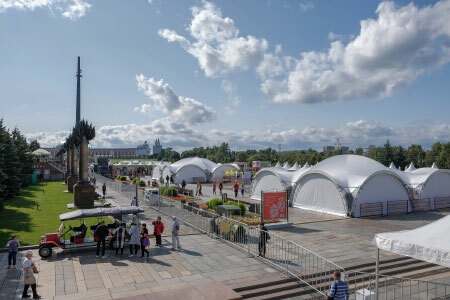 A science festival will be held in Moscow - "Science 0+"
On September 1, in the Victory Park on Poklonnaya Hill, we will take part in the 16th Moscow Press Festival. 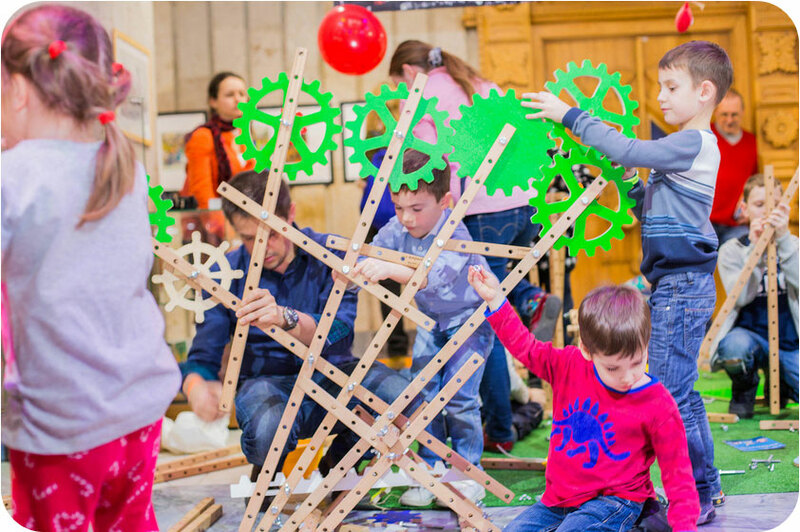 On September 30, 2018, the best educational projects of Moscow will gather at one site, and through workshops, lectures and interactive tasks, they will help you to understand and love mathematics. Quite often a question about a practical use of paper models pops up. What is the point of paper modeling? In natural environments regular polyhedra can be found in the form of crystals (minerals). Sodium sulphate reminds the shape of tetrahedron. 4. The volume of the polyhedron. A polyhedron is a solid bounded by flat polygons, which are called faces. The sides of the faces are called edges, and their corners are called vertices. Depending on the number of faces one can specify a tetrahedron (4 faces), pentahedron (5 faces), etc. A polyhedron is considered to be convex if it is located on one side of the plane of each of its faces. A polyhedron is called regular if its faces are regular polygons (i.e., where all sides and angles are equal) and all polyhedral angles at the vertices are equal. 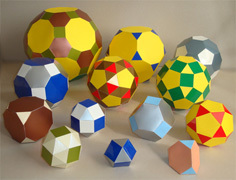 There are five types of regular polyhedra: tetrahedron, cube (regular hexahedron), octahedron, dodecahedron, icosahedron. Architects have used the elements of polyhedra in designing their constructions since ancient times. Nowadays this approach distinguishes buildings among thousands of others. The Ministry of Defense in USA has the shape of a regular pentagon. Art. Lebedev Studio has offered a new birdhouse in the form of polyhedron. Is it possible to make up an icosahedron using more simple polyhedra? A new and unusual way of making a model of Stellated polyhedron was discovered by a German mathematician and astronomer Johannes Kepler in 1619. A star is an image of divine idea and will, due to them our Light and Universe were created and started to exist in Space.